For the past three summers, I’ve had the opportunity to be involved with the Euroculture Program, teaching at Georg-August-Universität Goettingen and participating in the IPs. For someone who studies intercultural communication, this has been a dream come true, because each summer I have been able to immerse myself into a laboratory in which I can see and observe intercultural communication in action every day. From those observations, I’ve put together my “Top 10” list of lessons learned about intercultural communication. Putting together a Top 10 list is a tradition in American television. Some of you may be familiar with David Letterman, a well-known personality in late night TV, who regularly entertains his audience with his Top 10 lists. While David Letterman’s lists are meant to entertain, my list of things the Euroculture program has taught me about competent intercultural communication does not seek to make you laugh. Rather, I hope it will consolidate and contextualize some of the things you probably already know instinctively about what it means to communicate effectively with people from diverse cultures. So, here are my “Top 10 Tips for Intercultural Communication” , shaped, in part, by my 3 years of experience with the Euroculture MA. Mindset matters – a lot. The best starting point for any intercultural encounter is a mindset that is tolerant, mindful, and that truly desires effective communication to take place. Those of you in the Euroculture program are a step ahead of the game on this one. By enrolling in this MA program, you evidence your curiosity about people, cultures and places that are different from your own, and that’s an important part of the mindset that facilitates effective intercultural communication. Be aware of the degree to which we are all “coded” by our culture. Everything, from the big things like how we conceptualize what happens to us when we die or how we structure society, to the little things like the shape of our electrical plugs or our culinary preferences, are largely determined by culture. We typically don’t think of the way we do things as being culturally coded. We think of that as being normative. An important lesson on the path to becoming an intercultural communicator is to realize that much of what we just assume to be “True” is a function of our own cultural coding, just like much of what other people assume to be “True” is a function of theirs. When we realize that, we can begin to see that there isn’t necessarily a “Right” or “Wrong” to many of the things we do or say or think. Rather, it’s a matter of cultural coding. 8. Differences can make a difference. 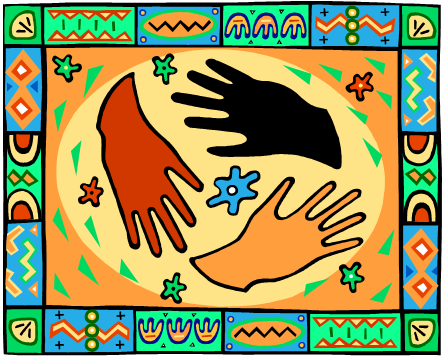 There are some culturally-based differences that do matter, particularly when it comes to studying and working together. You’ve probably encountered some of these differences as students in the Euroculture program. Culture can shape how willing we are to take risks, what our attitudes are towards collaboration, what are preferences are in terms of personal space or punctuality – the list goes on and on. Competent intercultural communicators need to be aware of cultural differences and turn them into assets, rather than seeing them as barriers or hurdles to effective communication. Although there are culturally-based differences that are real, there are many ways in which humans are humans, no matter what their cultural identity is. 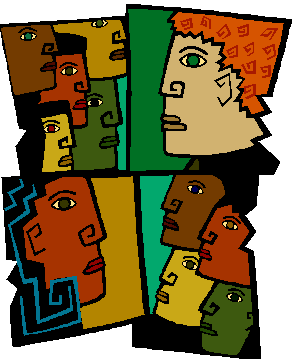 As the American musician, Melissa Etheridge, puts it, “There are differences we can not hide, but we are all one spirit inside.” Recognizing that “one spirit inside” and looking for ways in which we are similar to people from different cultural backgrounds can help us become more effective communicators. A postcard on my office door claims, “If you think communication is all talk, you haven’t been listening!” In any communication encounter, listening is key, and that is particularly true for intercultural exchanges. Listening is much more than hearing. Listening well involves filtering out distractions, focusing your attention on what another person is saying, making sure you really understand the message, interpreting the message, and responding appropriately. Indeed, listening well is a lot of work, but it is essential to effective intercultural communication. While listening to the stories of others is an integral part of effective intercultural communication, being willing to share your own story is equally important. Of course, this does not mean disclosing all the intimate details of your life, but in the process of sharing our stories, we can often see the similarities that set the foundation for meaningful intercultural exchanges. I believe in the power of communication to constitute our social reality. Because communication has that constitutive power, it also has the power to reconstitute realities that aren’t what we want them to be. An important part of reconstituting undesirable social realities is listening to one another’s stories. Meta-communication, or communication about communication, can be a useful ally when it comes to intercultural communication. Competent communicators will recognize when it’s time to move their talk to a meta-level and discuss communication problems that may be getting in the way of effective interaction. Perspective taking is important. You may be familiar with the Native American proverb that says, “Don’t judge a man until you have walked a mile in his moccasins.” That’s what perspective taking is all about. Try to put yourself into the shoes (boots, moccasins, clogs, sandals?) of the people you encounter from other cultures. You’ll likely discover that the others’ perspectives and behaviors are logical from their standpoints. We’ve already established that much of what we believe and say and do is a function of our cultural coding. That’s true for everyone we interact with, too. Understanding the “logic” of the other’s cultural coding can help make us more effective communicators. The final lesson I have learned from my involvement with the Euroculture program is the importance of finding a third cultural space in which intercultural encounters can take place. “Spacing out” means that all of the participants in the interaction will move out of their cultural comfort zones into a space that they create together—a space that makes the best use of the skills and viewpoints that all of the individuals bring to the table. This space that brings together diverse perspectives and ensures that all of them will be heard is the power of intercultural communication. Editor’s words: We express our sincerest gratitude to Prof. Elizabeth Goering who gladly agreed to share her ‘EuCu-taylored’ Intercultural Communication tips with The Euroculturer. Her genius is 1 percent inspiration and 99 percent love for Euroculture students. Elizabeth Goering is an Associate Professor in the Department of Communication Studies at Indiana University Purdue University Indianapolis. Her primary areas of interest, both in teaching and research, are the intersections between Communication and culture. She has explored these relationships in a variety of contexts, including fundraising, health care, media messages, interpersonal, and organisational. An award-winning teacher, Goering teaches classes in intercultural, organisational, and group communication. 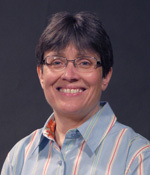 In addition, she has presented her research at numerous national and international conferences and published her work in a variety of journals, including Human Communication Research, Howard Journal of Communication, Journal of Popular Culture, Women and Language, The Journal of Business Communication, Case International Journal of Educational Advancement, and Communication and Medicine. Next So, you want to be a journalist?